Don’t have programming knowledge but want to learn? 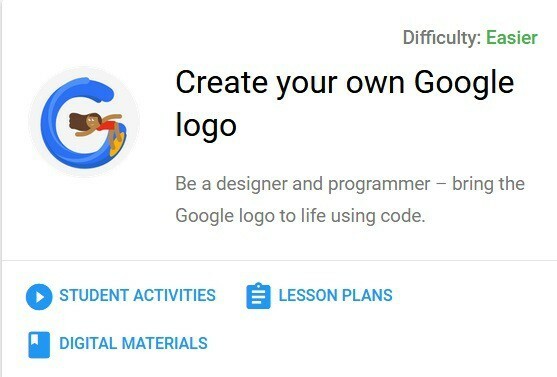 Try Google’s Hour Of Code and learn. Students from all over the world can take part in Computer Science Education Week and the Hour of Code conducted by Google. There are a variety of coding challenges through super cool activities so that everybody can learn to code even though they have no prior knowledge. The best part is that learners of all ages in more than 30 languages can participate. Teachers and parents can organize this learning activity for their kids to teach them the fundamentals of programming using different starter projects. Activities in Hour Of Code are self-guided so that students can learn at their own pace. Students from all over the world have already spent over 100 million hours of code during the Computer Science Education Week. There is also an unplugged version so that learners can still continue to learn the basics of coding without any device. Students who complete activities will receive certificates and badges. Learning to code is important because jobs in the computer science field are rapidly increasing and there aren’t enough people with the required skills to fill up positions. The main idea of Google’s Hour of Code is to give people the opportunity to learn coding skills no matter the age or career they are pursuing. If you want to learn coding or want to help somebody learn, check out the curriculum now.